Between the sixteenth and the nineteenth centuries, the west central African kingdom of Kongo practiced Christianity and actively participated in the Atlantic world as an independent, cosmopolitan realm. Drawing on an expansive and largely unpublished set of objects, images, and documents, Cécile Fromont examines the advent of Kongo Christian visual culture and traces its development across four centuries marked by war, the Atlantic slavetrade, and, finally, the rise of nineteenth-century European colonialism. 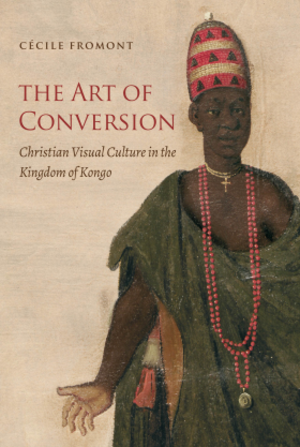 By offering an extensive analysis of the religious, political, and artistic innovations through which the Kongo embraced Christianity, Fromont approaches the country´s conversion as a dynamic process that unfolded across centuries. Cecile Fromont is associate professor of art history and the College at the University of Chicago.